Kathleen R. Olson: I'd Like You To Meet...Mandee. I'd Like You To Meet...Mandee. I first met Mandee about 15 years ago when we first started attending Heartland Assembly. I remember seeing her go up front at church and sing a song with her mom. She was probably only about thirteen years old at that time. She had such a sweetness and beauty about her even way back then. I was also there several years later, when she married the man of her dreams. She has grown into a beautiful wife and mother of 4 precious children. Six months ago, she and her family made a monumental decision. They packed up and moved to Africa to minister there with a missions organization called FIRE International. I can only imagine what it was like to leave the only home you'e ever known in Iowa to go to such a different place in the world with four little ones in tow. 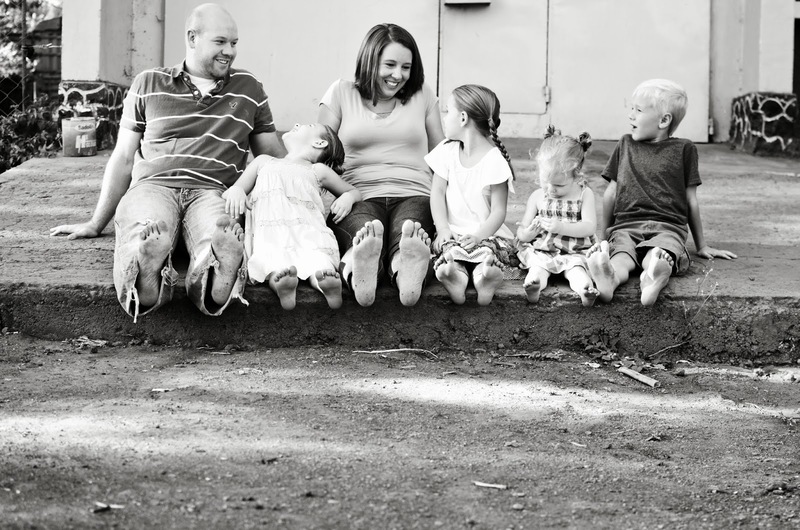 Both Mandee and her husband, Brian, have a passion for working with youth both here and in Africa. Brian is the co-director of children's ministry at New Life Foundation with over 450 kids attending. They do chapel there as well as teach dramas, Bible classes, and work on building relationships with the kids. Brian is also Campus Director at the school Hope International where he leads chapel, devotions for the staff, and serves as a counselor when needed. Mandee often substitutes at the school and they both are working on getting a structured children's church up and running at the international church there. Mandee's favorite place to minister is at the youth prison in town. God has placed within her first and foremost to be a mother to her own four children, but also to be a mother to the motherless. I am so happy for you to meet...Mandee. Here is her story. It was our third day in Tanzania. My friend Mary and I had just picked up all the kids from school and were heading to the market to get some produce. I looked back to say something to Kayden and my heart dropped. My crazy, fun loving seven year old was pale with tears streaming down his cheeks. At that moment it took everything within me to not break down, call Brian and tell him to repack our bags, that we were going back to America. You see, no matter how prepared I thought I was, I could never really quite imagine what our lives would look like once we plucked our four young children away from the only life they had ever known, and dropped them into a foreign place where the culture shock is daily in your face. Since moving to Africa last February, I have been stretched as a wife, a mommy, a friend, and even a follower of Christ. I have had some knock down drag out fights with God in my mind about being here. The first two months we were here, I would sob ever night with such gut wrenching sobs. My sweet husband would hold me and we would listen to worship music and pray for the peace of Christ to fill my heart. I am a person that thrives off of comfort, routine, and security, all of which (for the moment) has been stripped from my life. BUT, do you want to know the beautiful thing that comes from all of this? I feel like for the first time in my life, I can see what a wretched sinner I truly am. All traces of pride, that I didn’t even know existed, are vanishing. I am seeing in a new and beautiful way, how utterly dependent on Christ I must be. Before, whenever I faced trials, I always had something or someone to turn to. If I was upset, I could fill it with material things, food, and most certainly Brian would always be there to help me through whatever was going on. It has had to come to the point here, though, where not even Brian could fill the voids in my heart or bring me the peace I needed. Only Christ could do those things for me. I remember one night when Brian was very sick. Unknown to us, he had malaria. We had let it go on too long untreated. He literally thought he was dying and was telling me his goodbyes. I have never felt panic and fear grip my heart like it did that night. I didn’t know what to do or where to turn for help. Then, there was the still quiet voice of Holy Spirit, bringing comfort like only He can. I prayed so passionately that night. I was completely trusting and depending on God to come through for us. Moments like that are so precious to look back on- I can literally see Jesus just sitting in the room with me while I am praying. God answers our prayers and gives us the desires of our hearts in creative and unique ways. A moment replays quite often in my mind, when I remember telling Brian as long as I had Jesus, him, and our kids that I would always be happy and okay. Another major desire of our hearts was to be in full time ministry as a family. Looking back now on those two things and seeing where we are now is so amazing to me. I still have Jesus, Brian, and our babies, and we are in full time ministry. Did I ever think that would mean being a missionary in Africa? No, but God heard the cry of my heart and met my desires. Dying to my fleshly desires is still a daily struggle. I miss the comfort of my old life, my family, our church family, our house, Target, Goodwill, Pizza Ranch, and the list could go on and on. I am also growing daily as well though. It may be baby steps, but it is growth none the less. There is a certain peace that comes from being in the center of God’s will for your life, and for that I am so thankful. Mandee, thank you so much for for sharing your heart so beautifully. I have so much admiration for you and Brian to walk out what God has called you to do and to love on children in another place. I've read stacks of books about missionaries over the years, but you guys are living it out there everyday. I asked Mandee how this move to Africa all came about. She shared that seven years ago she felt the Lord had spoken to her heart that she and her family would serve in Africa. She didn't know what it would look like, how long they would be there, or even how it would all work out, but over the next seven years God worked out all the details and now they are there. I know I can relate with her words about when facing trials, "I always had something or someone to turn to." It is so hard when God begins prying my death grip off of things that bring me comfort. I don't think I like it very much. I so relate! I believe that many of you can, too. Mandee, I love you and your writing. You can follow Mandee on her blog here. Just for fun, I am planning to ask each guest blogger for their favorite beauty product. Mandee says that her favorite is anything by Bare Minerals.